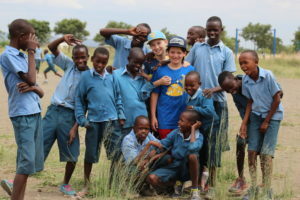 We started the school soon after my first summit of Kilimanjaro. My wife and her mother had met an eye doctor in a Maasai village, who explained that the community needed a school. My mother-in-law, Kellie, figured, “how hard can that be?” She literally drew a sketch on the back of a used envelope. That was in 2006. Today, 13 years later, the school is well known throughout the region and has, fortunately, outlasted many other similar efforts. While the need for quality education is evident, many well-intentioned schools fail after only a few years; it’s just that difficult sustain a good school. While we require families to pay tuition (and sometimes these dues come in the form of goats), the school still needs the support of funds from outside of the community to subsidize its complex operations. As I set out to organize the charity climb, I needed my Forum’s help from the very start! Ultimately, it would take a year of planning and coordination, conference calls, headaches, tremendous energy, patience, persistence and a lot of emotion! 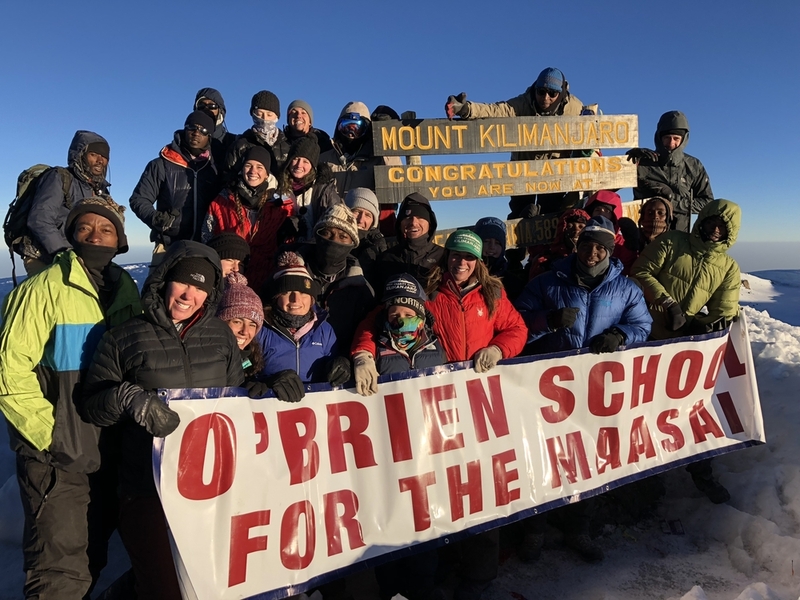 The climb was a great success: We raised more than US$100,000—almost enough to support an entire year of school operations! Additionally, 20 of our 25 climbers summited the mountain and, for many of us, it was one of the single greatest accomplishments of our lives! Mt. Kilimanjaro is so special. The climb was arduous. We weathered so many challenges during the eight-day trek, including various degrees of altitude sickness, an emergency evacuation for one of my nieces, and extreme weather changes. We were literally in, out, above or below the clouds throughout the hike. The geography was amazing, the people were extraordinary, and each, long day just brought us closer and closer to the mountain and to each other. I’m particularly proud to have played a central role in each of our climbers’ accomplishment, even though it was their sheer will and their own two feet that got them to the top. My son even made it to the top and, at just 10 years of age, he is the youngest American to summit in two years! You can imagine the elation and the emotions for us as we scaled the last few hundred feet. My wife, son and I were locked arm in arm. It took every cell of energy we had to put one foot in front of the other. We had been hiking since 11 pm with headlamps for this last ascent. It was our seventh day, and we made it to the top just as the sun was rising over Tanzania. It was a truly triumphant achievement. 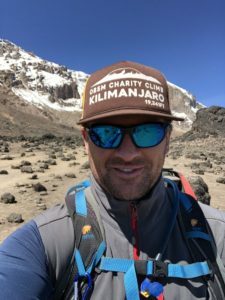 Consider that many of our climbers took a significant leap of faith when they committed this adventure: To summit Kilimanjaro—and to do it for a school they have never visited, for children and families they have never met. Soon after our climb, I had the honor of speaking in an assembly at our school. All of the nearly 400 students were in attendance, along with their parents, community members, volunteers and, of course, our climbers. It was a special moment to celebrate our achievement all together. I challenged these kids to dream big and set goals. Before we built this school 13 years ago, the community had nothing: No water, no electricity, certainly no school, and little hope. We have worked with them to build sustainable gardens, a vocational center for the women of the village, a beautiful library and so much more. I’m proud to share that when you talk with the kids about their aspirations now, you can tell that they are dreaming big! And they don’t want to learn so they can make money; they want to learn so they can support their family and help their community. Plus, many of our climbers now sponsor students, and are committed to helping the school in new ways! Dave Bacon (pictured at left) lives in Denver, Colorado, with his wife, Heather, and three kids. Africa and climbing have become a large part of their lives. Are you a successful entrepreneur who is ready to make a meaningful difference in your personal and business life? And in the global community? Then you’re ready to become a member of EO. Explore all the ways that EO members are contributing to the greater good.